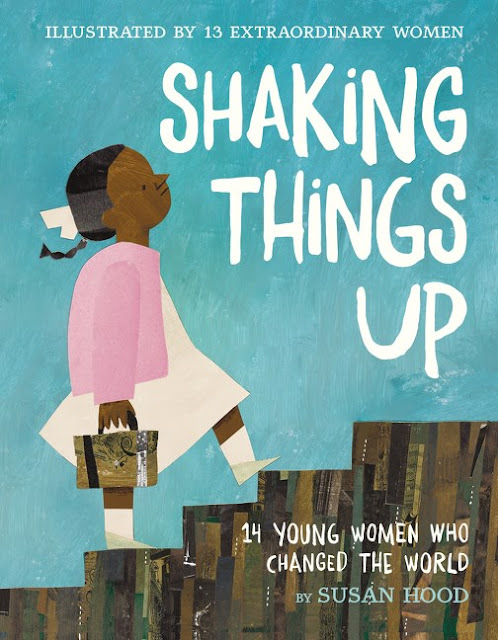 This empowering book about the contributions of fourteen women in fourteen different fields features text by Susan Hood and illustrations by –– wait for it –– Selina Alko, Sophie Blackall, Lisa Brown, Hadley Hooper, Emily Winfield Martin, Oge Mora, Julie Morstad, Sara Palacios, LeUyen Pham, Erin Robinson, Isabel Roxas, Shadra Strickland, and Melissa Sweet. It's every illustration geek's dream! And it is truly humbling to experience a book about revolutionary women that is entirely written, illustrated, edited, and designed by women. It's a book that I want to give to everyone I meet. 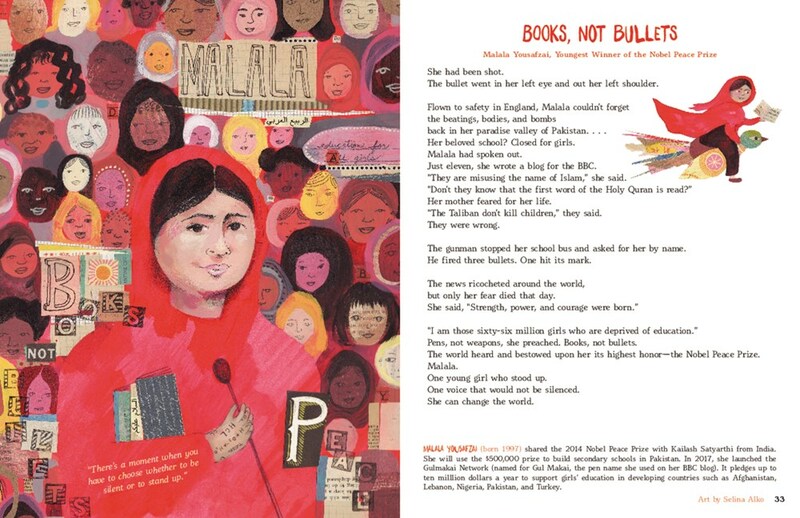 Readers learn about Mary Anning, Ruby Bridges, Maya Lin, Molly Williams, Annette Kellerman, Nellie Bly, Pura Belpré, Frida Kahlo, Jacqueline and Eileen Nearne, Frances Moore Lappe, Mae Jemison, Angela Zhang, and Malala Yousafzai, all through poetry that highlights their inspirational stories. The careful attention given to matching each biography with a contemporary illustrator is astonishing. It'd obviously take too long to describe all the illustrations because (as you can imagine) they're all quite different, but I can say it's easy to feel completely immersed in an entirely new biography with the flip of a page. We move from Emily Winfield Martin's muted and realistic illustrations of Kellerman to Sara Palacios' warm and curvy illustrations of Belpré with complete ease. 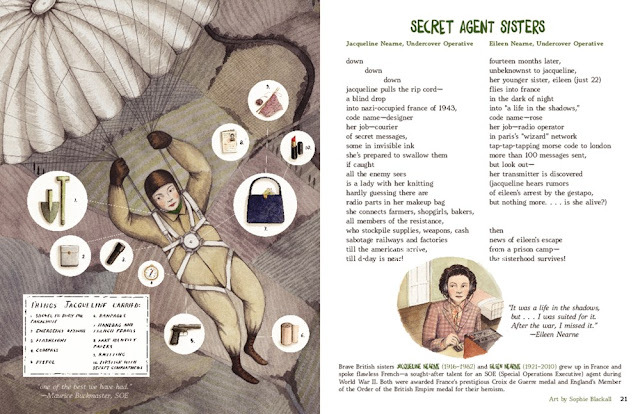 In fact, it's almost tough not to flip through the entire book first and look at all the illustrations at once (which you can actually kind of do if you check out the case cover)! Shaking Things Up: 14 Young Women Who Changed the World published Tuesday from Harper!